This guide will give you lots of practical advice to make moving fish or reptiles easier for you, your family and your favourite pet. It will help you get them to their new home safely and settle in. Moving fish and reptiles isn’t rocket science, but it can add to the stress of moving home if you don’t plan ahead and make the right preparations. The guidance here is of a general nature because the precise way in which you should move a fish or reptile will depend on the particular fish or reptile you have. So we advise contacting a vet and/or specialist retailer who can provide qualified advice with regard to your specific pet and set up. Unplug the heater about half an hour before you need to remove the fish and the other contents of the aquarium. Prepare some fish bags with 1/3 of tank water. Then carefully remove the fish. Depending on its size, you might want to remove some of the water from the tank first, perhaps as much as 3/4. The less water there is, the fewer hiding places your fish will have to evade your net. Don’t throw that water away though. Save as much as possible. This will help avoid vast changes in water conditions at the other end, which can stress your fish. 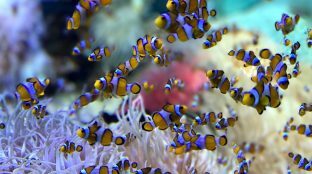 Most fish should be bagged separately because some species can be aggressive towards other species in confined spaces or exude toxins when stressed, which could kill your other fish. Some species can just be downright aggressive towards others in confined spaces. If in doubt, ask an expert. Do check the nooks and crannies in ornaments because some fish may be hiding in there. If you think they are, gently lift the ornament just above the water level, and most fish will just swim out – never shake your ornaments. Place the fish in the plastic bags, with 1/3 water from the tank and sealed with a rubber band. Transfer the fish bags to an insulated polystyrene fish box. When they’re all in the polystyrene box, close the lid to get the fish in the dark as quickly as possible because this helps reduce stress. Put plants inside plastic fish bags with a little tank water and seal them with rubber bands so they don’t dry out. Place the tank decor inside waterproof containers such as buckets or plastic storage boxes. Remove your other equipment, such as the heater/s, filters, pumps etc. The filter should be kept damp to preserve as much as the friendly bacteria as possible. You can do this by packing the filter in a similar way to how the fish were bagged. Depending on the size and nature of your tank, you might need to scoop out the majority of the substrate (e.g. sand, gravel etc) and place it in plastic buckets. Waterlogged substrate can be very heavy, so remember to pack it in several containers to spread the load. Do not wash your filter or gravel because this will remove or kill useful bacteria. This is where your bubble wrap comes in! Unpack the aquarium as your top priority. Get the tank into position and scoop the substrate back in. Re-fill with the aquarium with the water you saved. Re-assemble your filters, heaters, pumps etc. and turn them on. Only put some of the decor back in at this stage – the top priority is getting the fish back in. Your fish will be fine as long as they have somewhere to hide when they go back in. Add the fish as you would after buying them from a shop. Use a Fintro or float the bags on the surface for 45 minutes, mixing in a little of your aquarium water every 10 minutes. Keep the lights off during this time and for a while afterwards to minimise stress. After this time, gently release the fish, and keep the lights off for a few more hours. You can then top up the tank with dechlorinated tap water or reverse osmosis water (whichever you use) and this will hopefully only be the equivalent to a small partial water change, as you should have been able to keep most of the existing water. Do not feed the fish on this day, as you are likely to have lost some of the bacteria in your filter and it may not be able to cope very well with waste products produced. Make sure your plants are kept sealed in their fish bags, and then they should be ok in the tank for a day or two until you have time to plant the tank out properly. For a month or two after the move, the filter will be re-adjusting so you’ll need to use test kits to keep a close eye on ammonia and nitrite levels in the tank; only feeding if the levels are at zero, and feeding every other day for the first two weeks after moving. 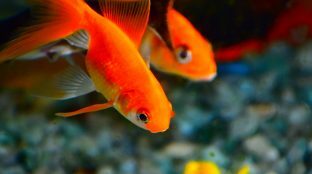 You might need to make additional but small changes to the water depending on the test results and do not over-feed or add any new fish to the tank until you’re sure everything is okay. 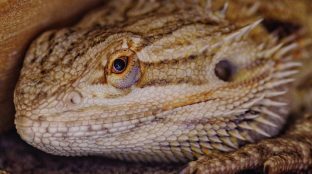 How you move house with a reptile – be it snake, lizard, gecko or bearded dragon – will depend on the species and the size, contents and location of the tank. Make sure your reptile is healthy before you move. Plan the move of your reptile on a different day to moving everything else. Get your resources in place: cloth bags, foam-lined boxes, bubble wrap, buckets for sand, heat packs, and blankets for cushioning. Use containers with plenty of ventilation but that are secure – snakes are notorious escape artists and will try to sneak through even the smallest of gaps. Avoid feeding the animal within 12 hours of moving, and try to avoid fluids during that time to help prevent their soiling their bag / container and substrate en route. Think about the temperature of the vehicle you’ll be using to move your reptile and how long the trip will be. It’s best to avoid moving a reptile during very cold or hot spells. Will your reptile prefer light or darkness? Some species prefer to be kept in the dark. Make setting up your reptile’s tank – and settling them in – your top priority once you arrive at your new house. Above all: seek expert advice from your local specialist.